You want a gorgeous smile, one that brings you self-confidence. At Manurewa Dental Centre our goal is to create beautiful smiles. One of the first things people notice when they meet you is your smile. We want to make sure they gain a good impression. If you have any concerns regarding your smile, make an appointment with the dentists at Manurewa Dental Centre and we will recommend the best cosmetic dental treatment options to meet your needs. This patient was unhappy with her crooked teeth. A combination of 8 crowns and veneers were used to improve her smile. At Manurewa Dental Centre we can straighten crowded and crooked teeth by using removable appliances or fixed braces. Because everyone is different, we make a full and complete assessment of each patient’s mouth before providing the appropriate orthodontic treatment or, where necessary, refer on to an orthodontist. Teeth whitening is an effective procedure to remove staining or discoloured teeth to look whiter and giving you a beautiful sparkling smile. It poses no harm to your teeth or gums if done properly by a trained professional. We offer two different procedures for the whitening of your teeth. The first is an in-house teeth whitening procedure that can be completed in one visit. Taking just over one hour, this is the most effective and fastest way to whiten your teeth. 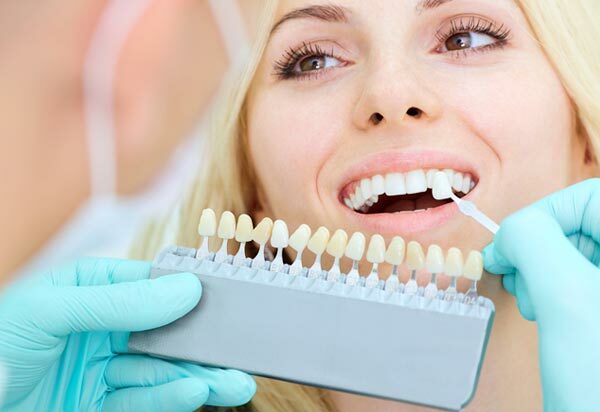 The second teeth whitening procedure is a take home tooth whitening kit which involves taking an impression of your teeth and making accurate bleaching trays that you can use at home. Usually you would use these for around two hours a day for eight days. This patient had a combination of orthodontic treatment and 6 veneers placed in her front teeth. Sometimes teeth are such that our teeth whitening procedures are not able to restore their colour. In these cases we can use dental crowns or veneers. Crowns are tooth shaped caps which fit over your teeth. Crowns may be fitted for cosmetic reasons or to protect a tooth, particularly those which are structurally weakened because of large fillings.